The sun is (still!!!) shining but unfortunately with no time booked off until September, it’s unlikely I’m going to be getting than natural bronzed look this Summer. In come Norvell Tanning to the rescue! 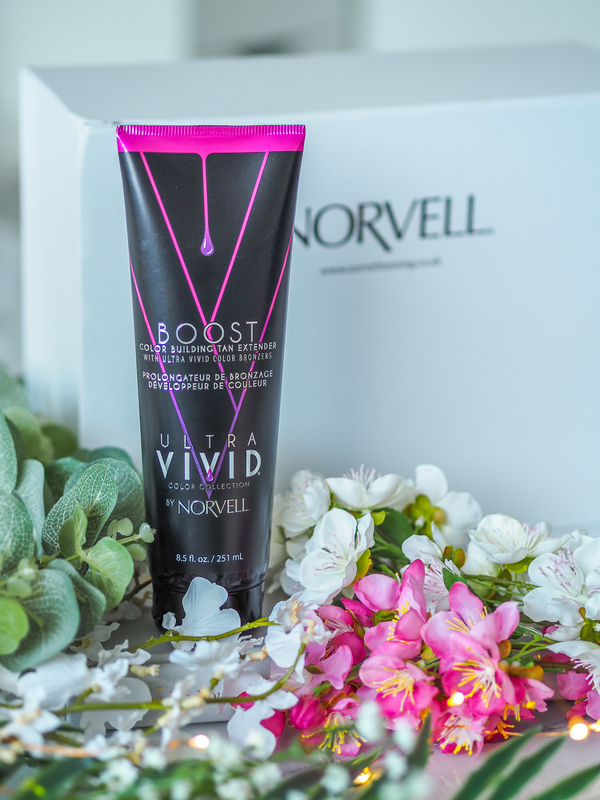 When I was recently asked if I wanted to give Norvell’s new Ultra Vivid Tanning Collection I thought why not? You see, I’m not typically a tanning girl. I’ve always stuck to the gradual tanning moisturiser with the fear of actual fake tan leaving my looking like a walking wotsit. But this time around I thought I’d put my faith into a brand, and give the world of fake tan a go. 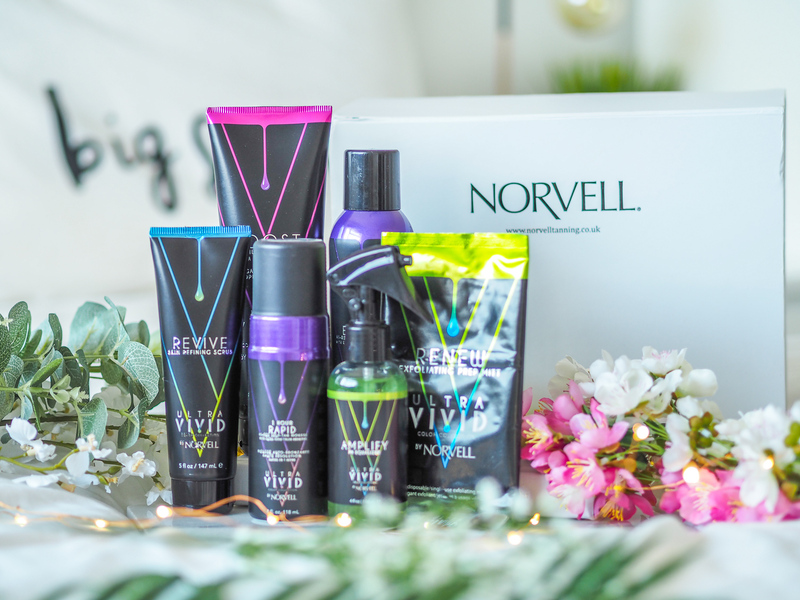 This 6-piece set is worth £134.95, is new for Summer 2018 and is full of everything you need for the perfect sunless colour. 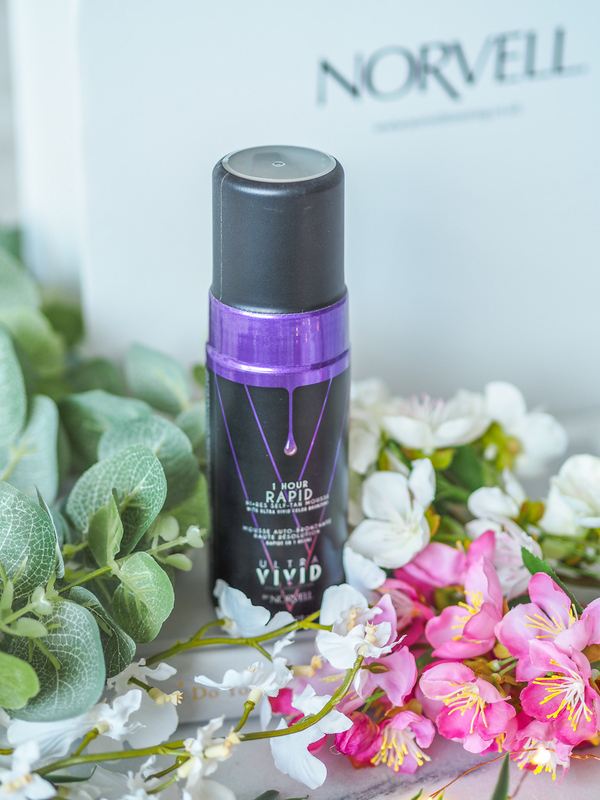 With advanced formulas, incredible ingredients and a delicious Vanilla Summer fragrance – Ultra Vivid claims to combine skincare with the magic of tanning. 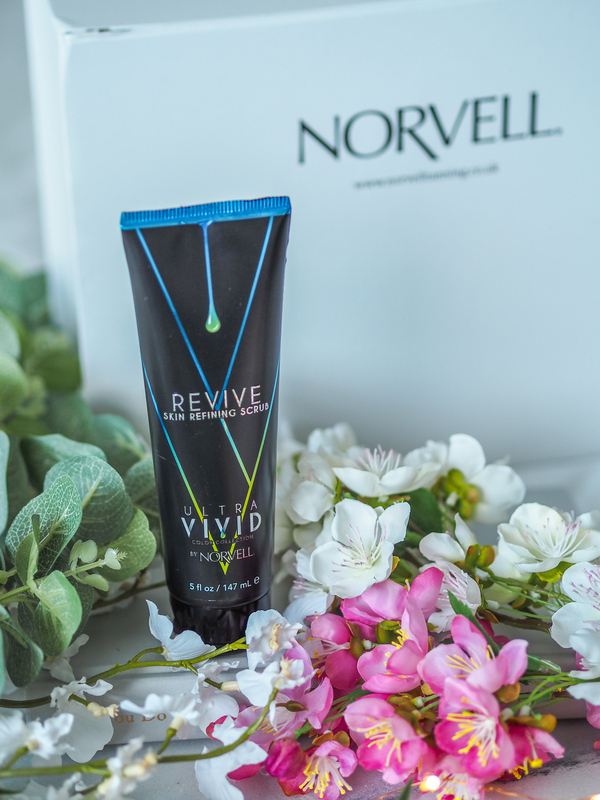 The first step for the Ultra Vivid tanning routine is the Skin Refining Scrub – this is to be used prior to any application and is essentially an exfoliant to get rid of any dead skin cells and make the application as smooth as possible. Costing £19.99 per tube, this creamy, yet effective formula is designed to discard dead skin cells and infuses antioxidants leaving skin renewed and revived. It’s formulated without parabens, sulphates and is 100% vegan. The first time I used this, I used it in the shower thinking it could be applied like any other scrub. I found it a bit rubbish, not doing a lot until I realised I’d done it wrong! It advises to squirt a small amount onto a cloth and rub over the skin, whereas I had simply used my hands before. I found using a flannel so much easier and far more effective. It exfoliated my skin well and left it feeling ready for some tan. The PH equalizer was something I’d never come across before. This costs a steep £24.95 per bottle and is a primer to apply prior to tan. It helps intensify the tan and provide even coverage and should be sprayed all over generously, then rubbed in with either your hands or a damp towel. I used this before using the mousse tan. Honestly, I don’t know if this makes a difference or not – I wont be using it next time jusy to see if there is a difference in the end result. I sprayed it all over my body, and it felt such like an oil. Either I used too much, or I can’t see this lasting for long! The Color Building Tan Extender was the first product I tried. On its own, this costs £29.99 and is a gradual tanner to be used daily to create a sunless tan or extend previous tans. It’s also concentrated with the skincare benefits of a CC Cream and therefore boosts, moisturizes, brightens and firms the skin. On my first use of this, I applied it all over prior to a shower. It states it takes around 2-3 hours to develop in colour. It left my hands very brown after application, so I had to be sure I quickly washed this off with hot soapy water. The scent is considered vanilla, but I wouldn’t necessarily agree. If you’re somebody who doesn’t like a tan that smells – I wouldn’t recommend this. It didn’t smell bad by no means but didn’t exactly have the sweet familiar smell of vanilla. After around 3 hours I had a shower and noticed the colour washing off. Upon waking up the next day, I didn’t really see any results, but perhaps that’s because I showered too early and should have left it to develop overnight. The second time trying this, I did just that. I applied all over at night and slept in it. The results weren’t much different. I woke up with a nice little bit of colour, but nothing dramatic – but I wasn’t expecting wonders for what is essentially a tanning moisturiser. One thing that I would say about this compared to your Garnier and Dove tanning moisturisers is that this definitely didn’t leave any streaks, which I have found my high-street versions do before. The 1 Hour Rapid Mousse was probably the product I was most excited for. This also costs £29.99 and is a salon quality micro-fine rapid mousse utilizes colour theory to neutralize orange hues. 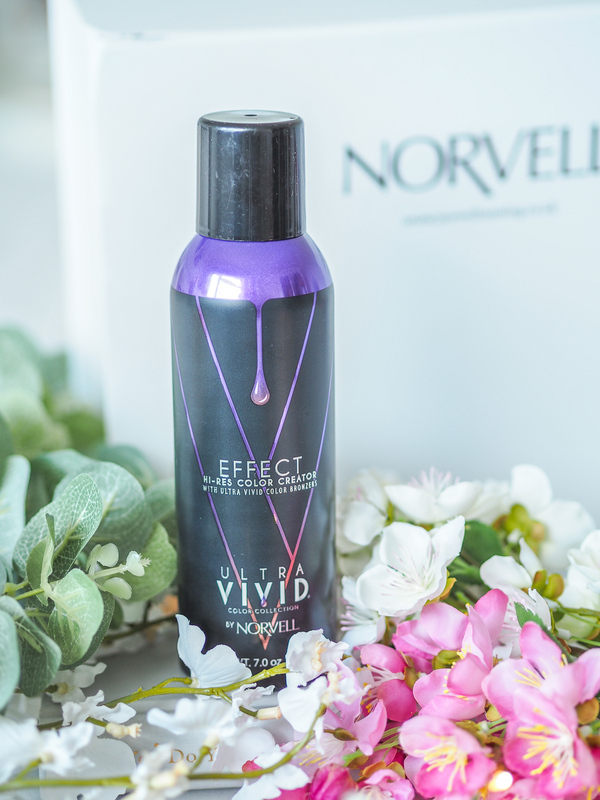 It’s deliberately formulated using a unique blend of violet and brown hue bronzers, this mousse effects a deeper, darker, more dynamic tan, sounds great huh? Being left orange was one of my biggest fears so claims like this make me excited! I love the idea of almost instant results, and this tan allows you to choose your colour. It advises you warm water rinse – not with any soap for 24 hours – after 1 hour for a light bronze, 2 hours for a medium bronze and 3 hours for the darkest bronze. It should wash away bronzers in this rinse, but the colour should continue to develop over the next 24 hours and results should last 5-7 days. This is the last tanning product I’ve had a chance to use so far. This is the first time I’ve ever fake tanned properly with a mousse and mit. It was a shame the set didn’t come with a mit, so I ended up buying one from Asos myself. For application, especially as a newbie, I found using this really simple and easy. I rubbed some product all over my body and it was easy enough to see where there were streaks and what needed some more working. I left this on for 2 hours, the time for a medium tan. I found this did give me a lovely natural flush of colour, but not nearly as much as I was expecting. Next time I’ll be leaving it on for the maximum 3 hours, maybe more, to see what colour I end up with. The Hi-res Color Creator is a self-tanning mist costing £29.99. It should be applied in a well-ventilated area and applied to clean, dry skin. Keep the can in constant motion and hold 10-12 inches from body. Apply spray in a sweeping motion across area to be tanned. They also advise that you do not bathe, shower, or sweat (who can control whether they sweat?!) for at least 8-hours after application. The tan should develop over 24-hours and last 5-7 days. I am very intrigued by this because a spray certainly seems the hardest to apply, and to do so in a streak-free, even way! I haven’t tried this yet, but I’m looking to soon, so keen an eye out on my instagram to see my review of this one! The sixth and final product in this box was the Renew Exfoliating Prep Mitt. 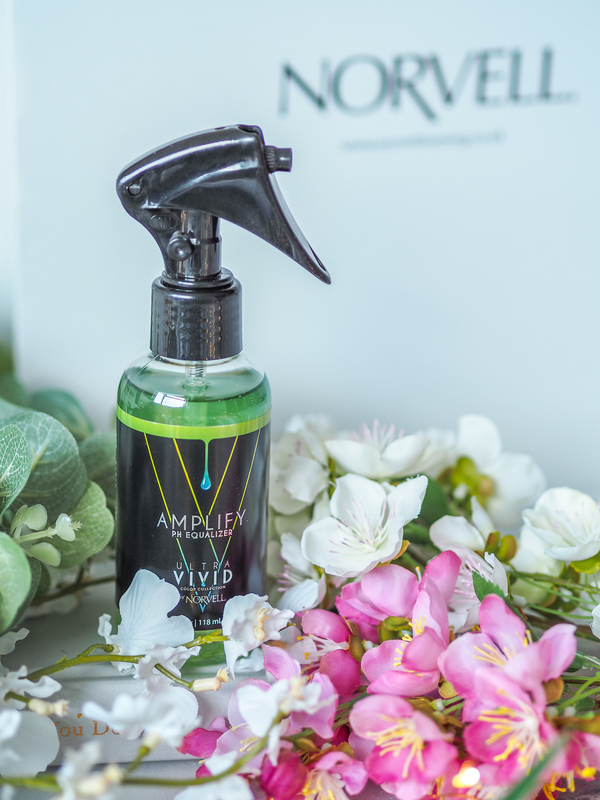 Costing just shy of £6, this is a convenient, fuss-free way to gently exfoliate the skin and balance pH levels prior to a sunless tan application. The elimination of dead skin cells along with the boost of amino acids levels, allows clients to maximize colour results. I’m also yet to use this one – it seems to be a one-time use thing which certainly seems to cost a lot for what it is! My final thoughts? I do feel like this was a brilliant set of products, especially for a novice in fake tan like myself. The colour pay off on my first attempts wasn’t as great as I was expecting, but perhaps this is a blessing in disguise. I’m just glad I didn’t end up like a walking wotsit!! I’ll definitely continue using these products, and giving those I haven’t tried yet a go. I’m keen to experiment with exfoliating/length of time before washing off to see if the end results differentiate at all, but right now, I can’t see myself repurchasing. What do you think of this fake tanning box? What’s your favourite fake tan? I want to know what to try next!